Long Beach, CA (Laserfiche)—March 28, 2011—Laserfiche today announced that its VAR program has been recognized in Everything Channel’s 2011 Partner Program Guide as one of the world’s best technology partner programs. Laserfiche’s VAR program puts resellers on the fast track to success with comprehensive technical, sales and marketing training around the company’s agile enterprise content management (ECM) suite. 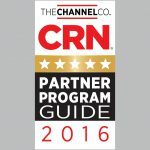 Everything Channel’s Five-Star award is based on vendors’ responses to in-depth questions about their partner program offerings; partner profitability; partner training, education and support; marketing programs and resources; and sales support. A Five-Star rating indicates that the vendor’s rating is elite among similarly sized companies.